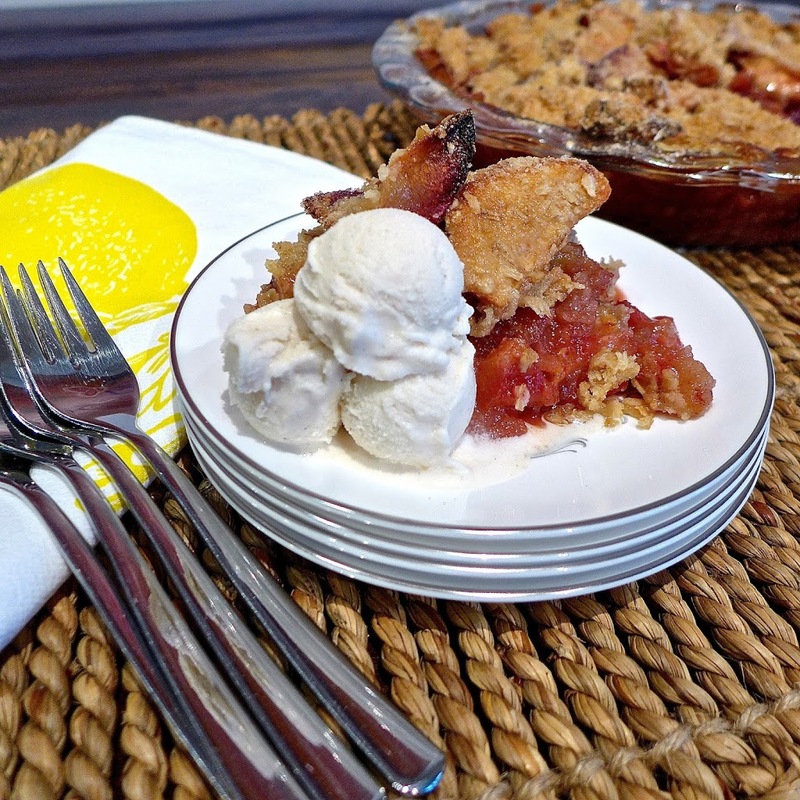 Better than apple pie and easier to make if you shy away from pie crusts, put this Apple Plum Crumble on your list of favorite CAN DO desserts! Last weekend I brought this dessert to a friend’s house and the four of us finished off half the pan with ice cream after dinner. It was so good that we ate the rest of the crumble, cold, the next day. When I was making the crumble I did not have enough apples to fill the entire pie plate, so I experimented by filling in with plums. blueberries or pears. Apple, pear and dried cranberries (for color) make a great, late fall alternative. Make this crumble gluten free by using your fav gluten free flour. You can sub vegan butter as well. This recipe is adapted from a dessert in Ina Garten’s 2001 book, Parties. I have been making and adapting this particular dish for 13 years and it is still my go-to favorite for any occasion. I used half the sugar and half the butter that Ina uses without losing any flavor. 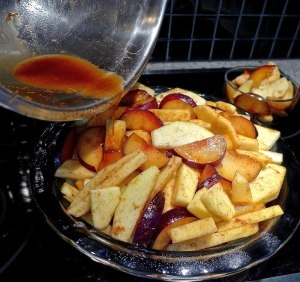 As always, taste your fruit mixture and feel free to add additional sugar and spices as you see fit. 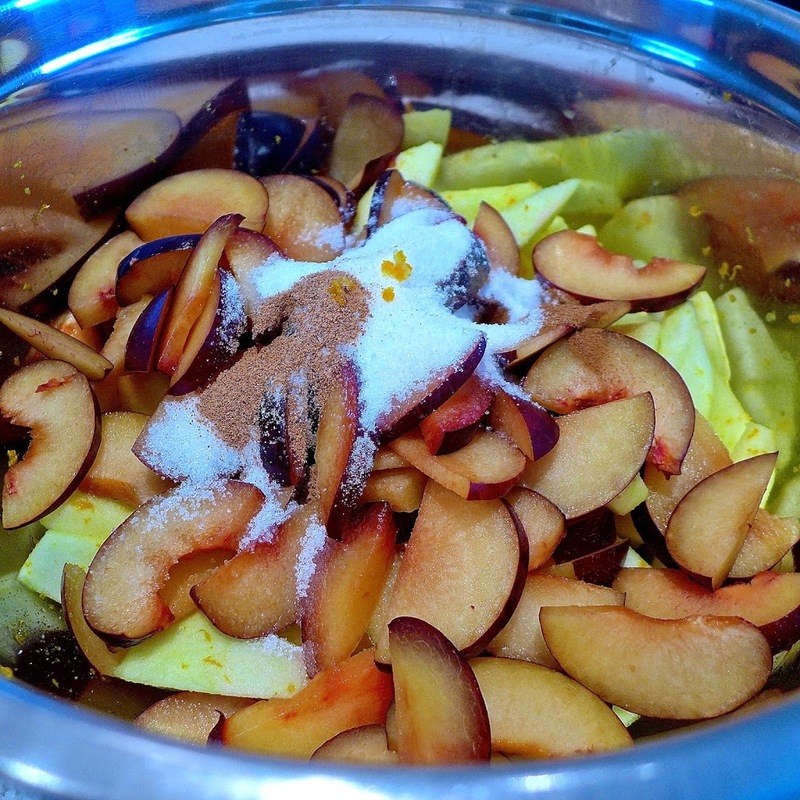 The long, slow cooking time brings out the fruit’s natural sweetness. You’ll be surprised at how sweet the fruit becomes with just 1/3 cup of sugar, orange juice and spices. 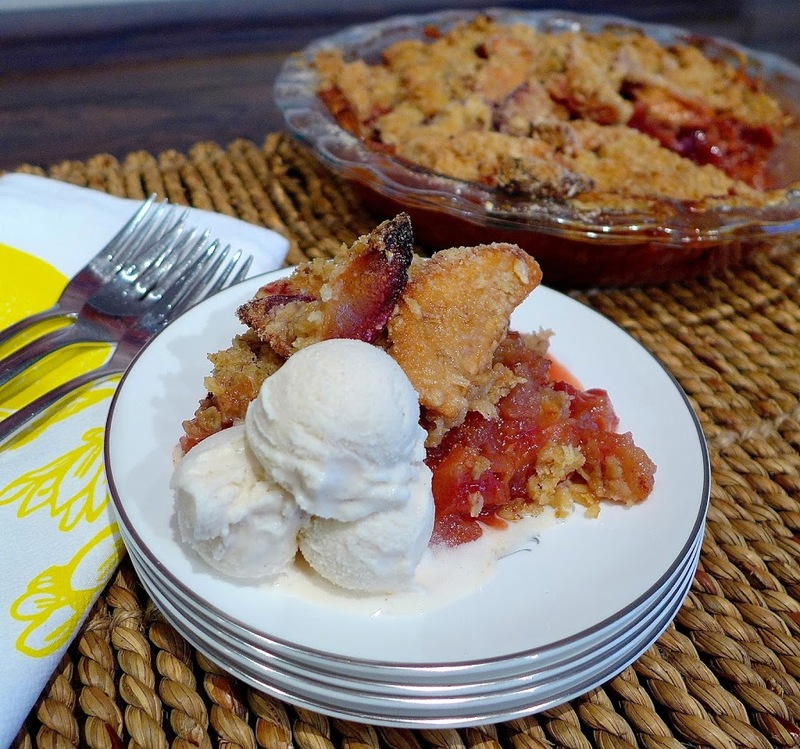 Use these photos as your guide and dig into apple plum crumble. It really is better (and easier to make) than apple pie! Gather all your ingredients first (not pictured: cinnamon). Zest, then juice one orange. Peel and cut apples into quarters (see photo) for easy coring, then cut in fourths again. 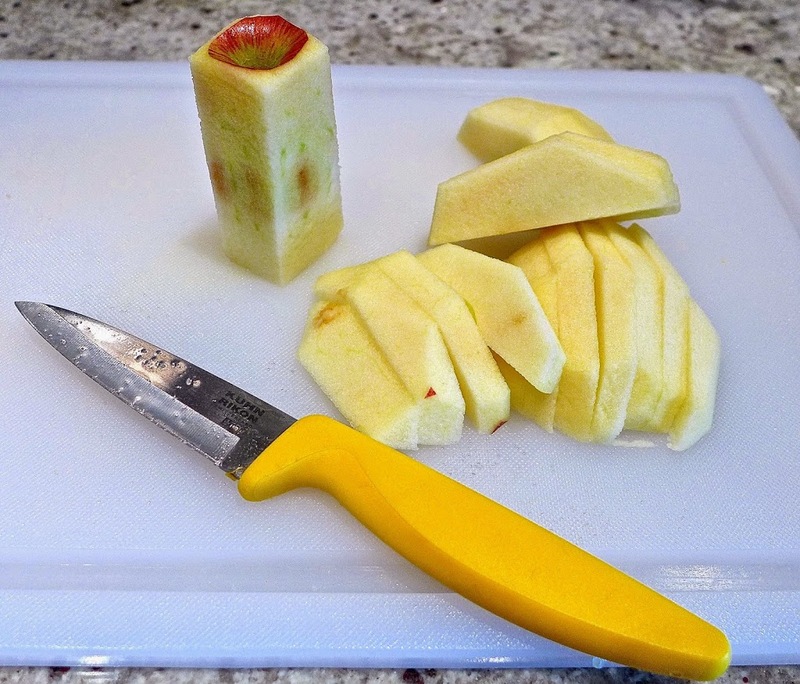 Toss fruit slices with the zest and juice to keep apples from turning brown. 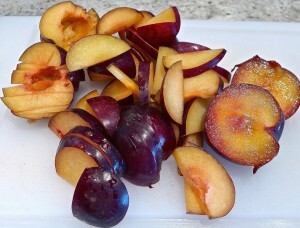 Slice and remove pits from plums and toss in with the apples. Combine with sugar and spices and toss gently. Spray or grease your pie plate. Pour collected juices evenly over fruit. 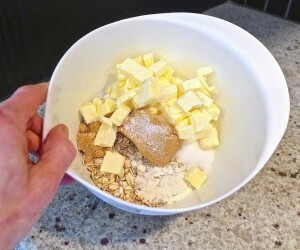 Mix crumble with a wooden spoon or mixer until crumbly and butter is the size of peas. 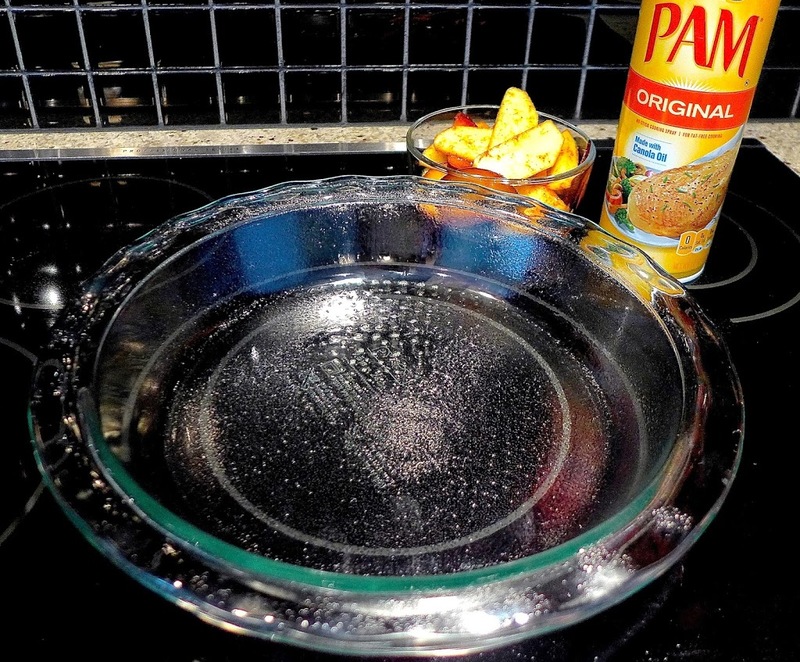 Set pie plate on a foil lined baking sheet to catch spills and keep oven clean. Be patient! Plan on 1 1/2 hours or more to bake the crumble. Minis should bake in about an hour. Rotate crumble halfway through baking for even browning. 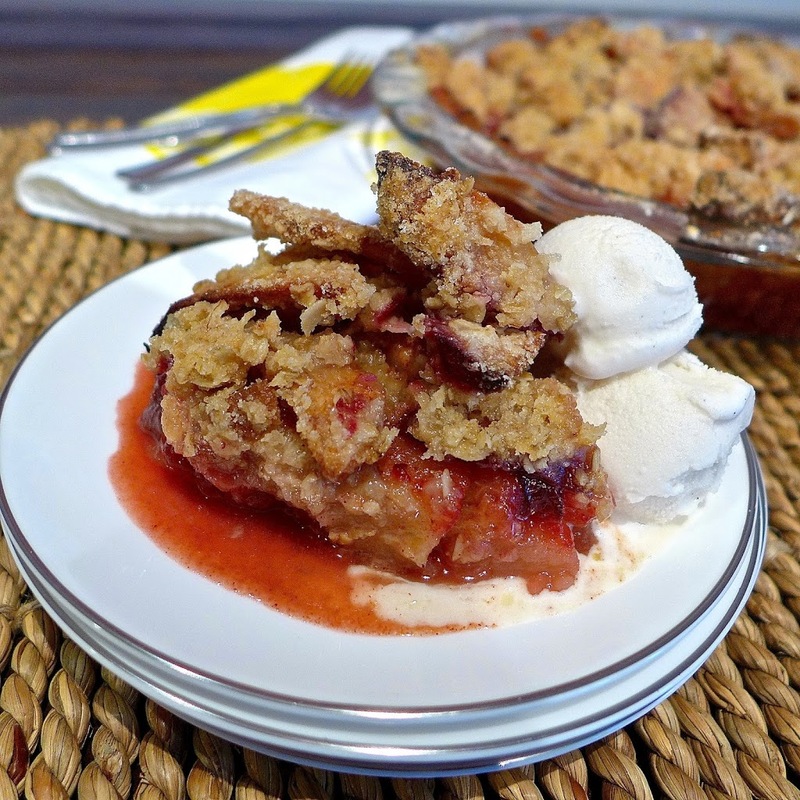 Zesty apples and plums with a sweet and crunchy oatmeal topping. The plums are optional but so delicious! 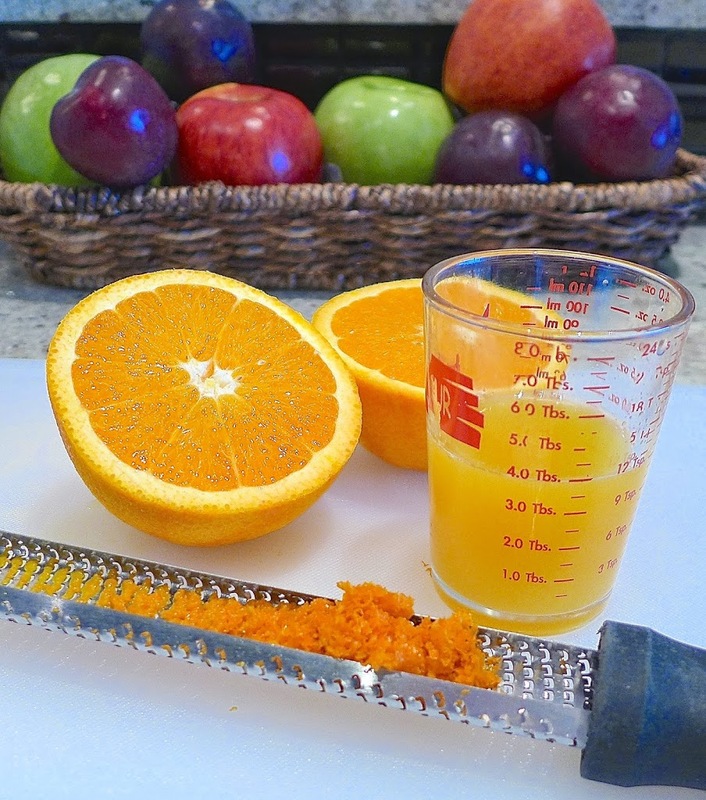 Prepare fruit: Zest orange and squeeze juice to equal 4 T or 60 ml. 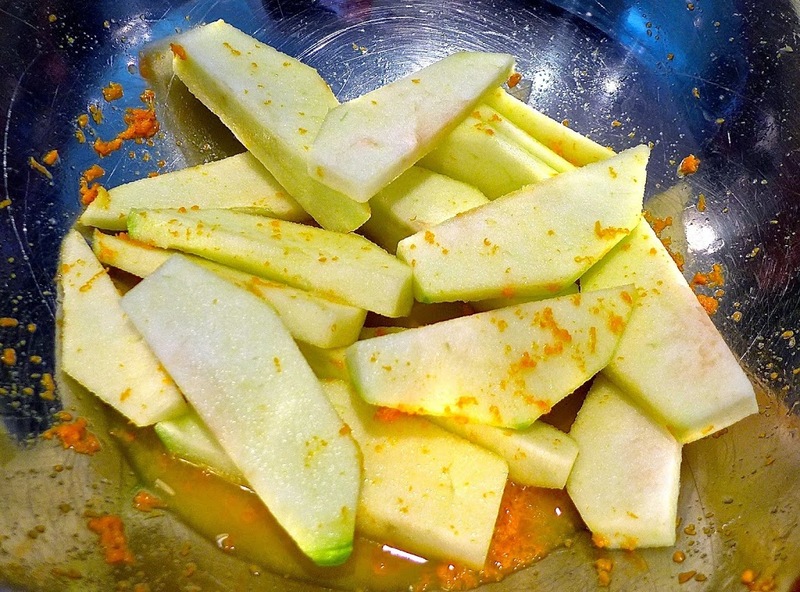 Place juice and zest in large mixing bowl. Peel and core apples. Slice into quarters, then slice each quarter into 4-6 slices. Leave peel on plums, slice like the apples and remove pits. 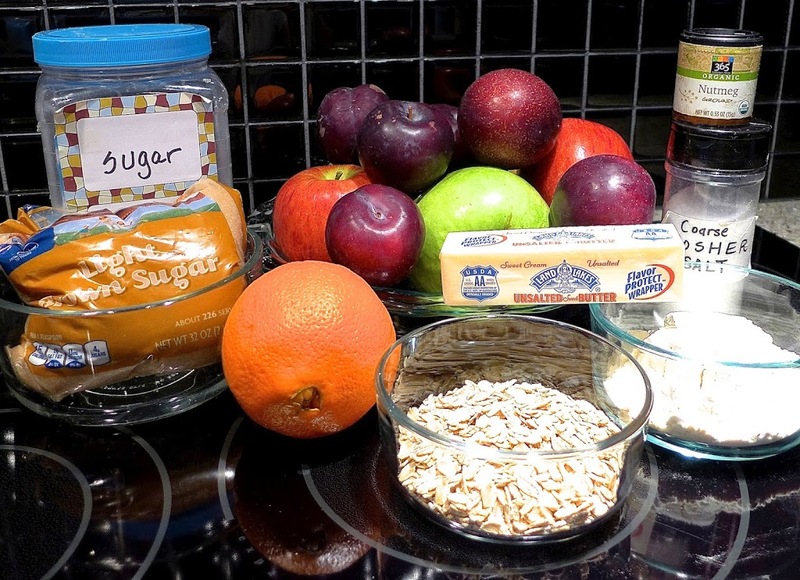 Toss apple and plum slices in bowl and mix with orange juice and zest to keep fruit from turning brown. Add sugar and spices and stir well to coat. 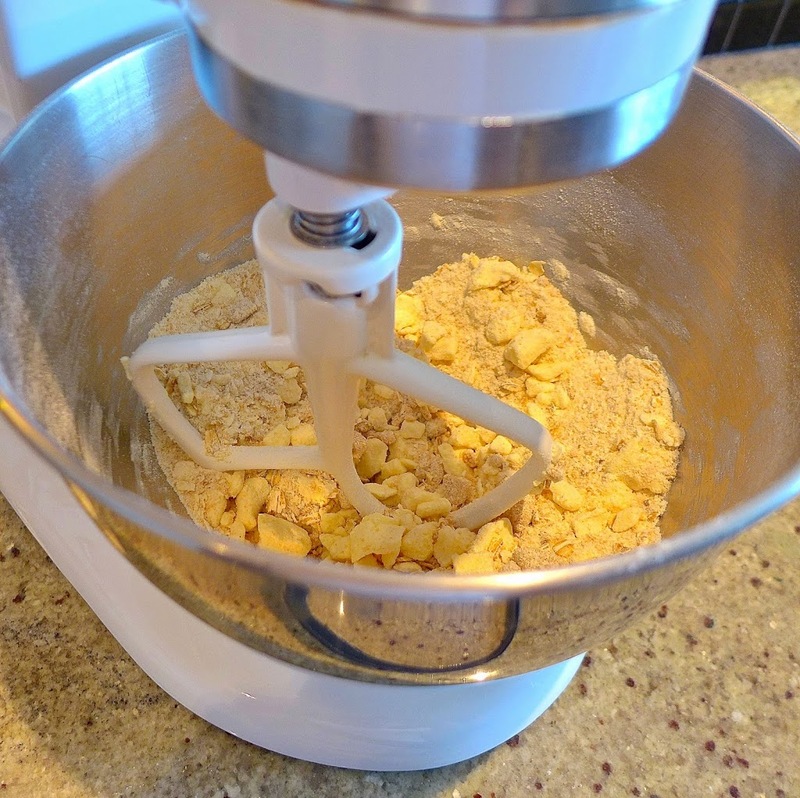 Make crumble topping: If possible, use a mixer to combine flour, oatmeal, sugars, salt and cold, diced butter. Mix on lowest setting until mixture is crumbly and butter resembles small peas. If mixing by hand, chop butter into VERY small pieces and combine all ingredients as described above. Assemble: Spray a deep-dish pie plate/brownie pan or casserole dish with cooking spray OR use 6 individual glass or ceramic bowls to make miniature crumbles. Place pie plate or bowls on a foil lined baking sheet. 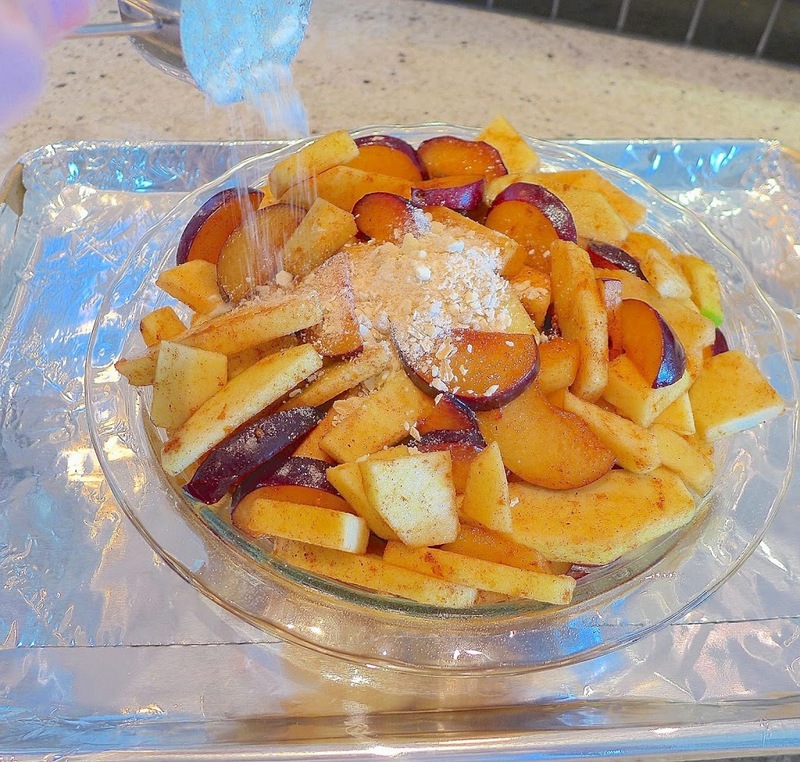 Load the apples, plums and juices into your container(s) of choice and sprinkle on the crumble topping, turning the pie plate as you sprinkle to evenly distribute the crumbs. 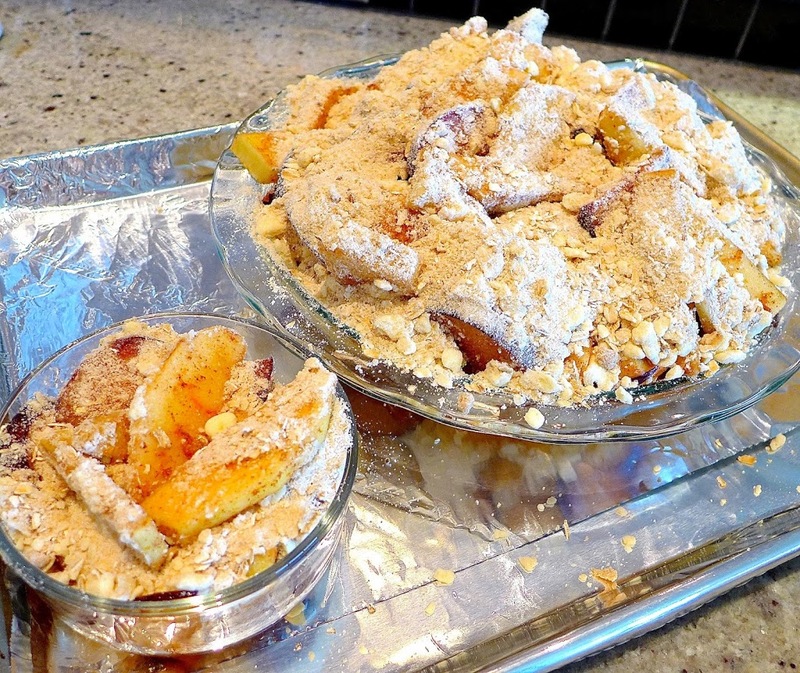 You may have enough extra fruit and crumble to make 1 – 2 miniature crumbles too. 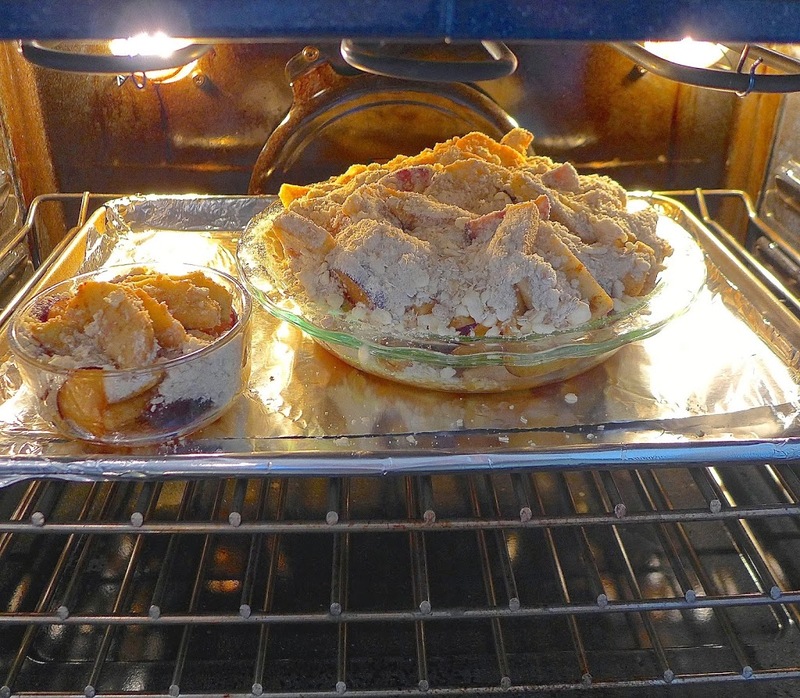 Bake for 1 ½ hours or longer until fruit juices bubble over the sides and crumble topping is brown and crisp. Serve warm with vanilla ice cream or your favorite whipped topping.